Co-ordination with Rotorua’s BayTrust Rescue Helicopter is a key part of Coastguard operations. When you become a Coastguard volunteer you probably accept everything – from towing tired kayakers to consoling victims’ loved ones after fatal accidents – are what you sign up for. Shaking hands with Prince Charles at Buckingham Palace? Probably not so much. But they’re all part of Barry Grouby’s Coastguard experience. Barry’s been a member of Rotorua Lakes Coastguard for about 10 years, he reckons. Along the way he became a volunteer, and now has reached the exalted position of president. Actually, he didn’t quite get to shake the Prince’s hand. “We were probably a couple of metres away from him and Camilla,” says Barry. 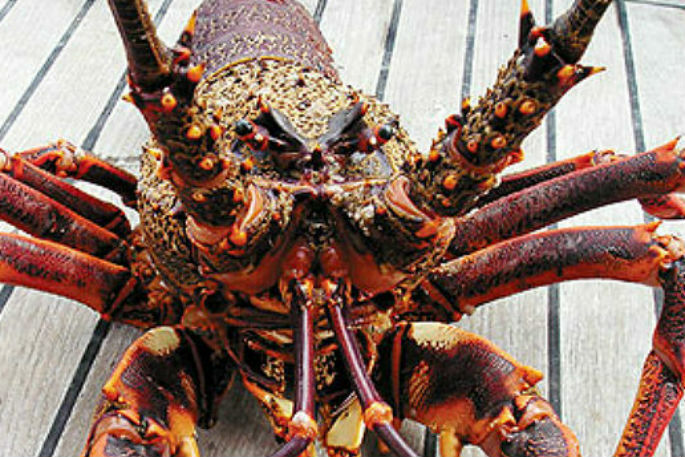 “There was something like 5000 people there so even though we were that close it was very hard to get close enough to make eye contact and get a shake of the claw. But never mind, we still enjoyed being at the palace. ”Barry was one of three Coastguard volunteers whose outstanding service to the organisation was recognised with an invitation to London to attend a reception in honour of Coastguard’s Patron, the Prince of Wales, as part of his 70th birthday celebrations in May. Probably, it’s fair to say, not what he expected when he joined up. I joined to become a better boatie. For me boating was – probably like a lot of people – just put it in the water and jump on it and away you go. So I wanted to broaden my horizons and learn a bit more. “I didn’t expect it to take me to Buckingham Palace at all!”The learning curve Barry’s been on since joining up as a novice boatie 10 years ago has in a way been echoed by Coastguard’s own. “We were chucked in the deep end back then. It was sort of: ‘Here’s a pager and here’s some gear – we’ll see you at the next rescue’. We make sure our volunteers are well trained before going to a rescue. 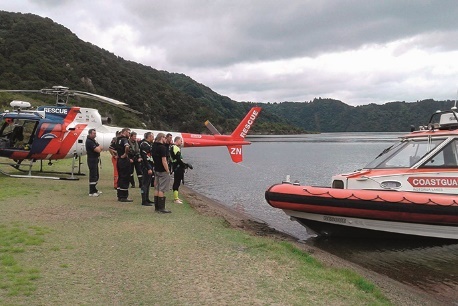 ”Rotorua Lakes Coastguard operate primarily in an 8. 5 metre Orca built locally by Orca Engineering. It’s an alloy pontoon boat specifically designed for rescue services. “It’s a great boat,” says Barry. “If we had to upgrade we’d probably if we can look at another Orca. ”He’s attended upwards of 50 rescues around the lakes and waterways of the Rotorua region in the Orca. Of those, he reckons, about 10 have been majors. He’s dealt with horrific accidents, and gruesome injuries. “I’ve seen a fair bit,” he says. “But that’s not the bad part. The hard part is looking at the family members who’ve lost someone. That grief of seeing them is probably worse than anything really. ”Boating on the Rotorua Lakes is not as straightforward as it looks. They can be millponds one minute, then choppy and dangerous the next, causing real problems for boaties in kayaks or open dinghies. Heavy weather on lakes can be more dangerous than the open sea due to the shorter troughs between waves. And when Lake Rotorua cuts up rough there’s not a lot of shelter available. One of the other quirks of Rotorua Lakes boating was behind Barry’s most dramatic rescue. “In Rotorua the maps you get on your GPS aren’t accurate,” he says. “So people navigating using those maps thinking that’s the contour of the lake are going to get into trouble. ”That’s what a couple were doing on Lake Okataina in their brand new alloy boat, in the dark, around 11 o’clock at night. Cruising at 15 to 20 knots, Barry believes, they drove straight into a cliff face. “He went out through the windscreen and suffered severe facial injuries. His partner received several lacerations and three broken bones in her leg. “Once they realised they were conscious he didn’t know what the VHF channel was for Rotorua so he ended up going through every channel calling mayday and was picked up by a local on a scanner. It was that person who rang the police. They were lucky, Barry says. They were not in great shape. “The relief in their faces when we turned up was a picture in itself. It was like ‘we’ve been saved’, you know? “That was a great feeling. “And that was just really not knowing how to use the equipment on your boat correctly. ”But Barry’s not joining the chorus saying boaties are getting dumber. “No I actually think boaties are getting better. I’d say that we’re slowing down a little bit. ” They’re increasingly getting the word on lifejackets, and other essential safety gear like VHF radios. “So I think the message is definitely getting out there. ”As is the value of joining Coastguard. Barry says when non-members get a tow, they also get an invoice. But they also give them the option of joining up. “We find most people take that option, because they think if this happens again I don’t want to be embarrassed, I’ll just call Coastguard and they can come and get me. ”And then, next time – if there is a next time – the tow is free. New volunteers are always very welcome too, and not only fit, able people, says Barry. “There are other roles within Coastguard – not just being on the boat, we’re always looking for groundcrew. ”The payoff for volunteers is not just the feeling of helping fellow boaties, and occasionally saving a life or two. “We’re all a close group. We all get on very, very well. ”To do the right thing and join Rotorua Lakes Coastguard – before you need a tow – phone 07 348 9022 or email: rotoruacoastguard@xtra.